It's the last week before GDC, which means all the serious news is being saved for next week. What we're left with? A collection of the silliest news ever rounded up in Missing Pieces. But like Vin Diesel's Dungeons and Dragons campaign, we've been going strong for years and we ain't stopping anytime soon. Fast and the Furious, adult diapers, and Kanye West—this is your gaming news for the week of February 23. There are so very, very few cases where I write about console games, but this is one of them: A free Fast and the Furious game is being released as a standalone expansion to Forza Horizon 2. In other words, two of my favorite things on this earth slammed together into one giant ball of awesome. Hell, I already drive a 1970 Charger in Forza Horizon 2 because I'm a F&F nerd. Forza Horizon 2 Presents Fast and Furious releases March 27 and will be free through April 10 to promote the film, after which the game will raise to $10. Humble initially made a push into browser-based gaming last fall with the Humble Mozilla Bundle , which sold a selection of games powered by asm.js. Now Humble is expanding that push with its new Humble Widget. Originally just a convenient way for developers to drive Humble Store sales, the new widget allows developers to embed asm.js game demos or games into their sites. Pretty cool, and I'll be interested to see how many devs take them up on the offer (since it takes a bit of porting to do so). Resident Evil Revelations 2 is a game basically built around co-op, which makes it pretty frustrating that feature somehow didn't make it into the PC version of the game, leaving you stuck with your dumb AI companion. Even shadier, Capcom hid the note about the PC version lacking co-op in a footnote on the Steam page, meaning many people purchased the game without realizing the key omission. Capcom's since apologized for the oversight and is "currently looking into the matter and potential solutions." Updates when we know more. Another in a long line of Twitch experiments: A Reddit user is currently running a Civilization V game that consists of 42 AI players on an enormous "real-world" map. For an idea of how it's shaping up you can check out this Reddit post or this Imgur album, or stay tuned to the official Twitch stream. Speaking of "Twitch Does Things," somebody set up "Twitch Plays Halo." It's just as awful as you imagine. All those jokes about Google creating Skynet start looking less funny when Google-owned DeepMind Technologies comes out and announces it's created an artificial intelligence that taught itself to play video games, beating out humans in 29 different titles. This is how it starts, right? With an AI that taught itself to play Breakout so later it could learn how to bounce artillery off the optimum number of human skulls? Has playing Dying Light made you extra-conscious of an impending zombie apocalypse? Are you aware of how woefully unprepared you are for hordes of slavering monsters? Well luckily Dying Light will sell you the solution to the fear it already induced! 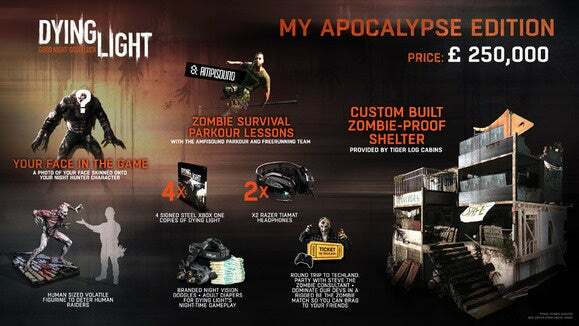 UK retail site Game is selling a one-of-a-kind $400,000 special edition of Dying Light known as the "My Apocalypse Edition." That's a lot of money, but you'll receive a "custom-built Dying Light zombie home" from Tiger Log Cabins, "zombie avoidance parkour lessons," a trip to Techland's HQ, and "Dying Light branded night vision goggles and adult diapers for the night portions of the game." Yes, you spent $400,000 on adult diapers. It's good to be king. 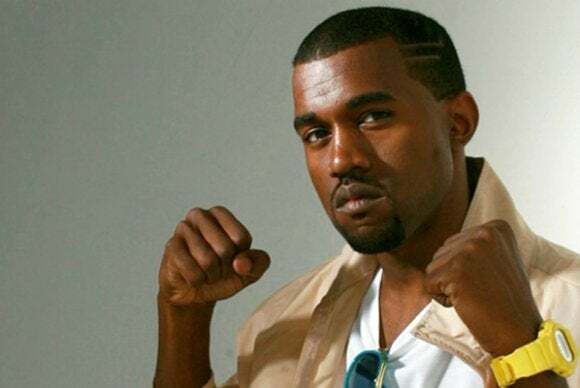 Kanye West announced this week he's collaborating on a video game tribute to his mother, who died in 2007. Supernova attempts to mash a MOBA together with more traditional RTS mechanics, to some success. Next week's GDC, which means a lot of things to look forward to—including the unveiling of Valve's new " SteamVR" hardware. I learned pretty quickly in my Hearts of Iron IV hands-on that I'd make a terrible Hitler. And a smattering of reviews this week: Decay: The Mare, Morningstar, and old favorite Homeworld Remastered.